Having spent the last year in self-imposed exile from his life as a Saskatchewan private detective, ten words on a cryptic telephone message change everything. Russell Quant returns home, only to find himself faced with the greatest horror of his career. 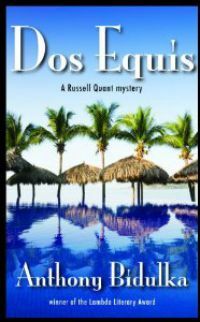 Pitted against a Machiavellian villain, Quant recruits his entire entourage of family and friends in an unforgettable caper that stretches from the winterscapes of the Canadian prairie to the shimmering beaches of Mexico’s Costa Grande. A tale of love, loss, lies, and coming home.